In Telengana State people have Voted for the Regional Political Party TRS once again and Honourable Shri.KCR became Chief Minister once again because BJP is not suitable for Telengana is a people’s verdict and nobody likes Shri Modiji in Telengana State. In Karnataka State Elections people have elected Janata Dal-S even though the Shri Modiji and Amit Shah group has offered to every Congress Party MPs and MLA’s and Janata Dal-S winning Legislators rupees ONE HUNDRED CRORE RUPEES each this news has been publicly given by the Present Chief Minister Honourable Shri.Kumaraswamy Gouda in Bangalore TV CHANNEL and News Network and subsequently Janata Dal-S has formed the Government in Karnataka State which is a Regional Political Party of Karnataka State. Similarly in Andhra Pradesh also people are going to elect the Regional Political Party TDP and Honourable Chief Minister Shri.Chandra Babu Naidu will become Chief Minister of Andhra Pradesh. 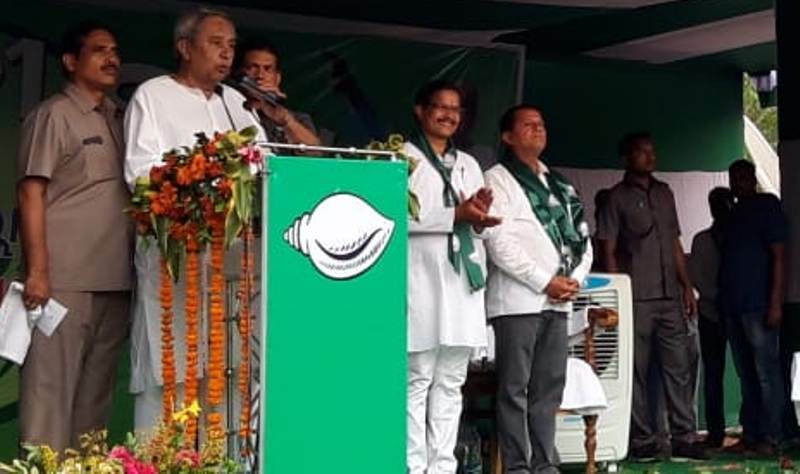 In our Odisha State also people will elect OUR OWN Regional Political Party Biju Janata Dal and our Honourable Chief Minister Shri.Naveen Patnaik will become Chief Minister once again. In West Bengal people will once again Elect Trunamul Congress Party and Smt.Mamta Banerjee will become Chief Minister once again. Shri Modiji is not acceptable to every State in India because Shri Modiji likes only Gujarati people and Marathi only.After Shri Modiji became Prime Minister of India many financial Scams Rafale Aircrafts Purchase deal,Dassault Civil Aviation contract to Gujarati Reliance industries Mukhesh Ambani and Anil Ambani,Nirav Modi’s Banks Looting,RCom claims of 48000 crore rupees in the form of Insolvency of RCom,ERICSSON cash of 550 crore rupees,Even though Andhra Pradesh has been given lakh crore rupees for development and not given any answers to Central Government about the budget utilization Shri.Modiji Government couldn’t do anything because Shri Modiji is investing in many businesses in Various ways.